The World Food Championships (WFC) confirmed its 2019 dates today, along with its official host venue hotel, the Hyatt Regency Dallas. The 2019 championships will begin Oct. 16 and continue through Oct. 20, almost a full month earlier than previous years. Moving up the date was a major focus for WFC as weather conditions and holiday travel have always been challenging aspects in the past. "Moving to October has been a desire of ours for numerous years now," commented Mike McCloud, President and CEO of WFC. "Since we are still a hybrid event, with a majority of our activities that must occur outside, we truly have to consider the best time of the season for Food Champs to compete in optimal weather conditions. Moving to Dallas allowed us to make this happen, and we are excited about how this will bolster attendance and hopefully provide the best chance for good weather." McCloud also expressed excitement about the event's new host hotel. The Hyatt Regency, a large, full-service hotel with both expansive indoor and outdoor facilities, is an iconic structure in the downtown Dallas area with national awareness and incredible amenities. "As we visited and negotiated with numerous sites in Dallas, the Hyatt Regency kept landing at the top of the list. From its Wolfgang Puck restaurant at the top of Reunion Tower to its incredible room options and potential for on-site trade show development, we are extremely encouraged by what this location can mean for the future growth and awareness of Food Sport." 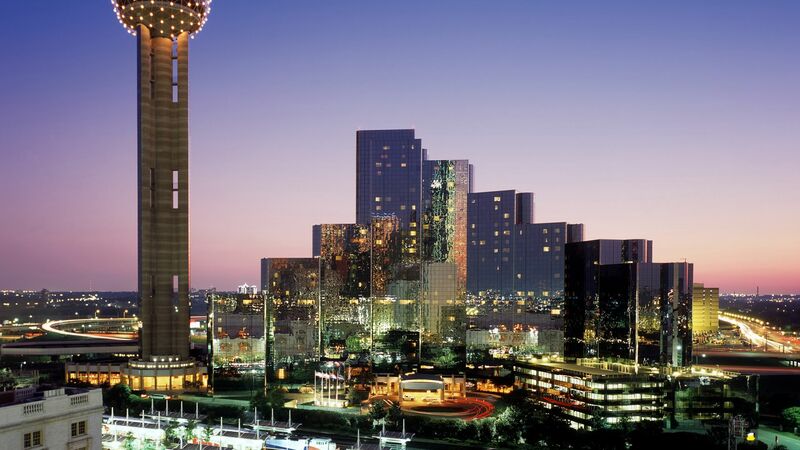 WFC has negotiated special rates for rooms during the event, including discounted self-parking and pricing for Reunion Tower tours. In about a week, an online link to access these discounted rates will be published by both WFC and Hyatt Regency. Planning for the new WFC grid and competition programming is now underway and will be published by March 31. "Anytime we move our championship, it takes an extraordinary amount of work to finalize our game plan not only for the grid but for our consumer programming. While some of that has been done and won't change, there's always a new wrinkle or two with a new site plan," McCloud commented. "But we are excited that we will still be able to construct a competition grid that keeps all of our key categories in the same general area. In fact, we're working on a plan that will allow us to ‘ring’ the entire grid with our barbecue teams and/or Food Trucks. Simply put, if we can get our vision implemented, it's going to be phenomenal." As always, January is a key month for many announcements regarding WFC and Food Sport. So stay tuned for more exciting news regarding Categories, Final Table details, TV programming, Elite Qualifiers and Partners for 2019. In the meantime, mark your calendars for #WFC2019 and follow World Food Championships on Twitter (@WorldFoodChamp), and Facebook or Instagram (@WorldFoodChampionships) for more Food Sport updates.